Discussion in 'Tribal Wars Map' started by The Governor, Jun 19, 2015. I have a screenshot of what I mean above... Historical Data only seems available through W78... I am presently in W81 and I should be able to see this. Sorry for the inconvenience, the issue with the server select there has been fixed. 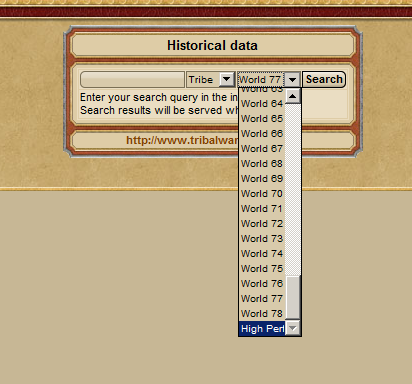 While the historical data was working correctly, that specific search box's server select had not been updated.